In line with an HLF Grant application for the tower repairs, the PCC were granted a contribution to improvements within the church by way of a small internal re-ordering scheme, which included a new toilet in the base of the tower and kitchen facilities within the west end of the church. The new works proposed within the Tower included the removal of some poorly constructed brick partitions and the installation of mains fresh water and drainage. 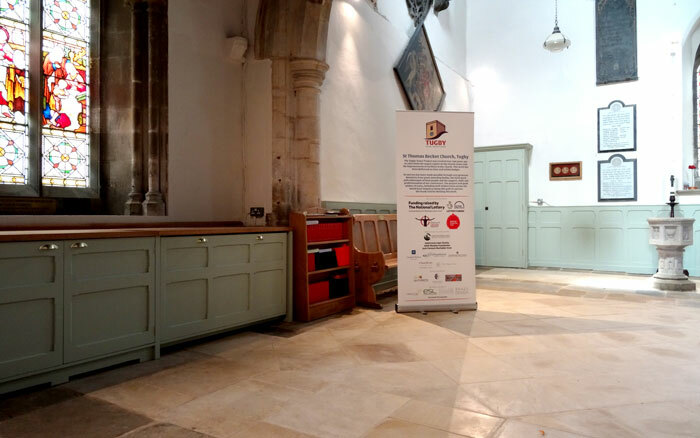 In addition, the parallel but separate project to re-order the rear of the church included the removal of the rear pews, repositioning the font and installing a mobile welcome desk. The dark pews and timber flooring have been removed from the west end of the church and replaced with Ancaster flagstones, laid to a planned design, with flexible seating. The dark timber boarding on the lower walls, have been painted a sage green and new lighting has been added which really ‘lifts’ the rear of the church. Toilet facilities have been added in the base of the tower and a ‘mobile’ welcome desk and kitchen units were added to the west end, painted in sage green to blend in against the painted walls. The sink has a ‘foldable’ tap and an oak worktop closes down over the sink to provide very useable storage. The welcome desk can be moved out when in use or pushed back into a space under the worktop when not in use, therefore creating more flexibility. 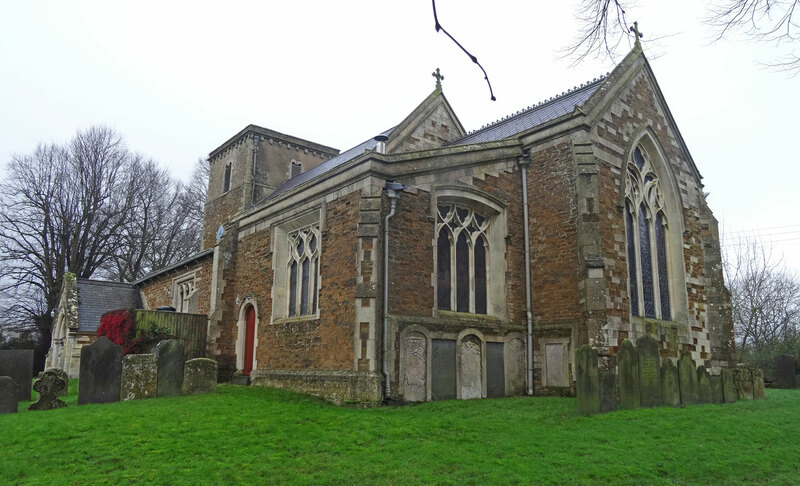 Having considered various options for the drainage, including connection to the mains sewer, it was concluded that a trench arch drainage system would meet the needs of the church. All excavation works were carried out under the supervision of the archaeologist and required an archaeological watching brief.